Fall is fast approaching and I am so into digging fall trends for this year. Not all of us can afford to buy new fall clothing every season, so here is a guide to the fall color palette for 2013, so that you can plan your existing outfits without buying new ones & still look chic. 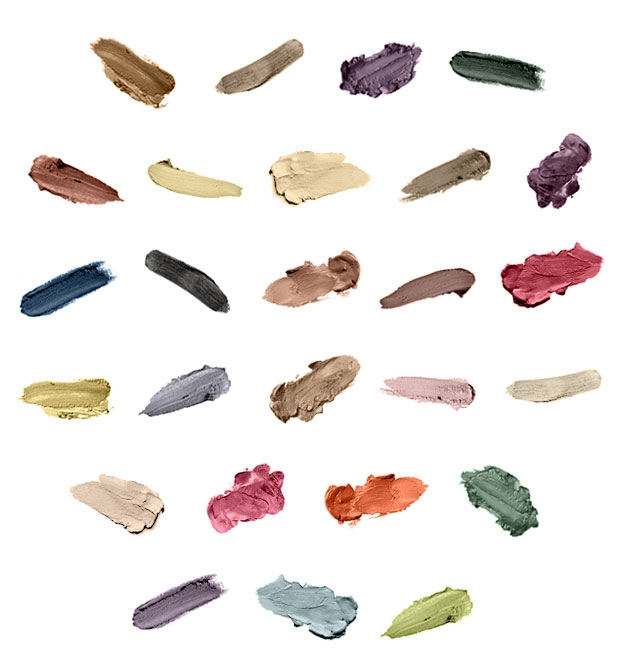 Above, left to right: Antique Copper, Matt Bronze, Violet de Mars, Black Forest, Burnt Earth, Wax, Brushed Vermeil, Whitened Lead, Ink, Storm, Coal, Pink Terracotta, Hydrangea, Cranberry, Pistachio, Lost Time, Heather, Silk, Angel Feather, Rice Powder, Strawberry Sherbet, PSCHITT!, SPLASH!, FLOC!, OUPS!, WIZZ! I love all of them, but my personal favorites are Black forest, Rice powder & Strawberry sherbet. Which one is your fave? Share your thoughts on this color palette.